Todd Suddleson is an Equity Partner with DeHay & Elliston, LLP. He has been associated with the firm since 1996. Prior to joining DeHay & Elliston, he practiced in Baltimore, Maryland from 1990 to 1996 focusing on toxic tort defense and insurance defense matters. Mr. Suddleson is admitted to practice law in Maryland, Texas, California, and Illinois. Mr. Suddleson’s primary practice involves mass tort litigation and product liability defense. He has tried numerous cases to a successful conclusion, including many asbestos personal injury cases. Mr. Suddleson has appeared at trial as a first chair attorney on behalf of numerous different companies throughout the State of Texas. 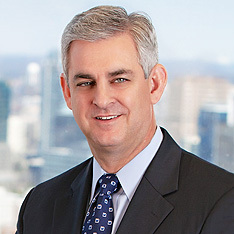 In addition to maintaining his trial case load in Texas, at the request of various clients, he has appeared at trial as a first chair attorney in the trial of cases in other states including Arizona, California, Delaware, Florida, Louisiana, Maryland, Massachusetts, Pennsylvania, Rhode Island, South Carolina, and Washington. One of his verdicts was selected by Courtroom View Network as one of the Top 10 Most Impressive Defense Verdicts for 2018. Defending the Stanton Hypothesis: A Review of Recent Literature on the Pathogenicity of Short Fibers and Implications for Trial, 2003 DRI Asbestos Medicine Seminar, Miami, Florida. State-Of-the-Art - Knowledge of Occupational Exposures to Asbestos after Selikoff: A Review of Recent Literature on the Impact on the Selikoff Studies, Published 1965, and Implications for Trial, 2006 DRI Asbestos Medicine Seminar, Las Vegas, Nevada. The Duty Problem with Liability Claims against One Manufacturer for Failing to Warn about Another Manufacturer’s Product: ALI-ABA Course of Study; Asbestos Litigation: The Changing Landscape; October 11, 2007, New Orleans, Louisiana. The Elephant in the Room: Bankrupt Trusts, 2010 DRI Asbestos Medicine Seminar, San Diego, California.